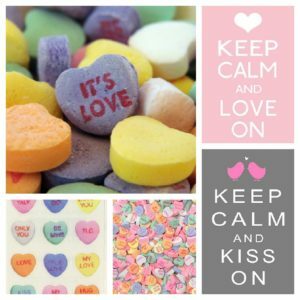 Say I Love You with Creative Valentines Day Candy Creations! Valentines Day is right around the corner and it’s time to start thinking about what delectable sweets you’re going to give your sweetheart. Whether you’re looking for a special treat for your significant other or creative Valentine’s for children, we have the perfect idea for you! Cupcakes are sweet, but you can make them even sweeter with Necco Conversation Hearts candy! After creating and icing your sensational cupcakes, cover them with Conversation Hearts. Everyone will love reading the heartfelt sayings while they enjoy these tasty treats! Grab some skewers and use Valentine’s Day gummy candy to create a red hot treat that no one will be able to resist. We have tons of gummy candies that you can use including cherry gummy bears, hot cinnamon gummy bears, gummy raspberries, mini Swedish Red Gummy Fish and more! For a surprising touch, add some Marshmallow Peep Hearts to your Valentine’s Day skewers. You can even tell someone that you think they’re hot hot hot with fire-ful candy like Atomic Fireballs, Hot Tamales or Hot Tamales Sugar Free Gum! Who could resist such a romantic message? If none of these ideas strike your fancy you can always go with a more traditional Valentine and give the one you love a kiss – a Hershey’s Chocolate Kiss that is! Make sure you visit BlairCandy.com for more fun filled Valentines Day candy ideas! Growing up, the holidays were one of my favorite times of the year! In my childhood home the holidays were centered on family, friends, presents, food, and did I mention presents? Now that I’m older I love to look back on those cherished Christmas memories and think about the tasty candy treats my family would always have during the holiday season! – You always knew Christmas was on its way when my mother started merrily placing glass candy dishes filled with old fashioned hard candy around the house. I loved grabbing a few candies to keep in my pocket! 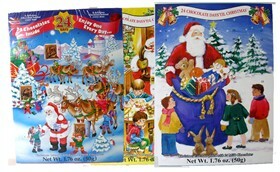 – Every Christmas, until I was well into my 20’s, we would kick off December by opening the first door on our Christmas Advent Calendars. Nothing was more exciting as a child than the promise of a delicious piece of chocolate everyday, while anticipating the arrival of Santa Claus! – The Christmas season was never complete until after we made our annual gingerbread house. Decorated with M&Ms, gum drops, and other mouth watering goodies, our gingerbread houses were almost too good to eat! – Decorating the tree was a fun filled celebration! My father would string the lights while my mother and I would prepare the ornaments and decorations. Not a year went by when we didn’t decorate the Christmas tree with candy canes! 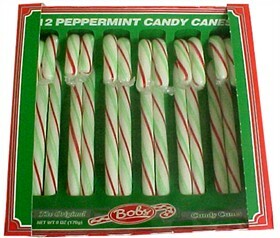 I remember trying to hang a candy cane from every single branch! – Dark Chocolate Covered Thin Mints were a Christmas staple! We would always have a few boxes lying around the house to give as gifts, but more often than not we would keep some boxes to enjoy for ourselves! – My ginormous Christmas stocking was always hung from staircase with care, and I knew that good old Saint Nicholas had rounded out the bottom of every stocking with popcorn balls! I bet you also have some sweet Christmas memories from when you were a child! Share them with us by leaving a comment with your favorite Christmas memory.